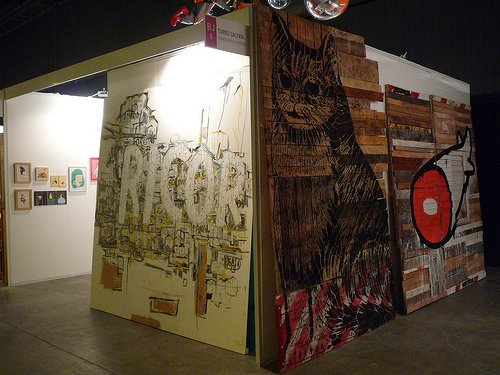 The Turbo gallery at Arte BA 2010 managed to successfully convey the impact of street art in an indoor setting. Dominating the outside of the Turbo area were huge pieces by Tester, rundontwalk, Tec and Buenos Aires Stencil. 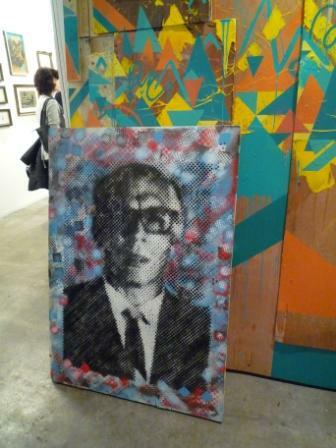 The artworks made such an impact not just because of their size, but also as they’d been created on found objects – metal grids, wooden doors and slats. 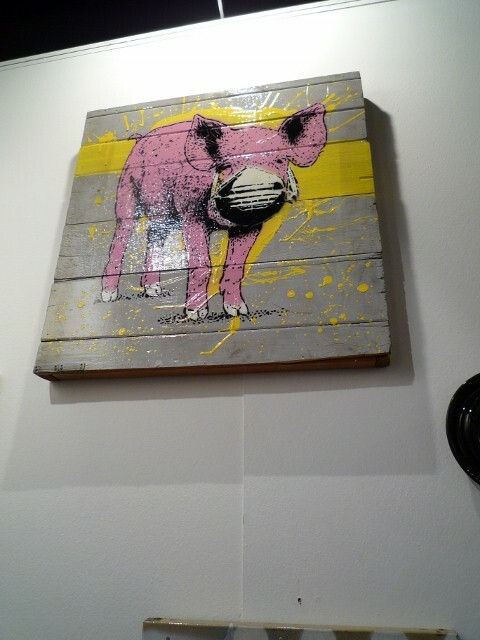 The pieces were a hit with buyers with several works being snapped up straight away. 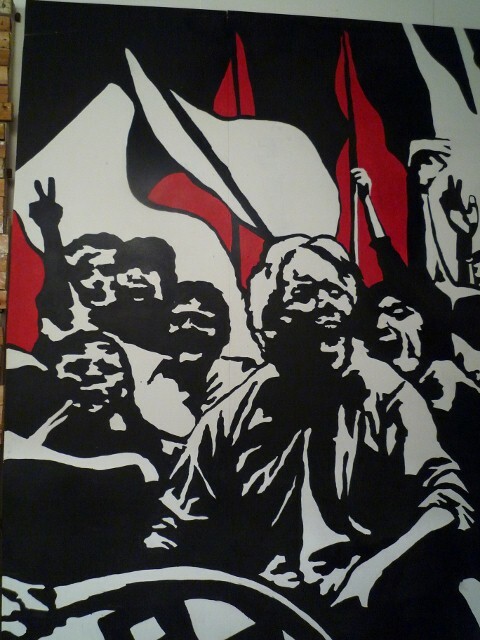 Doma and HIC crew, the art collectives who run Turbo Gallery and Hollywood Cambodia respectively, continue to produce artwork at a prolific rate and represent some of the finest young artistic talents in Buenos Aires. Their growing success in the contemporary art world is testament to their talent, energy and determination to bring their art to the public through streets and galleries, without compromising their vanguard principles.